Genetic testing company 23andMe is back in the business of direct-to-consumer health testing kits, after a two-year semi-hiatus (in the U.S., at least) from offering health risk assessments at the behest of the Food and Drug Administration. That makes 23andMe the first such company to win FDA approval for taking its products straight to the consumer, with no need for a physician’s approval. Back in the heady days of 2007 when 23andMe first launched its kits, excitement was mounting over the promise of individual genetic testing, with little focus on the potential risks. We’re not talking about mapping your full genome here — in fact, it amounts to less than one percent. What 23andMe’s test identifies are known genetic variants in your saliva sample. They’re called single nucleotide polymorphisms, or SNPs. Think of them as typographical errors that creep in when something is copied over and over again. There are roughly ten million SNPs in your genetic code, usually insignificant mutations with little to no influence on particular traits. But sometimes — either by themselves or by interacting with many other genes — they can have a very real impact on traits: how you respond to certain drugs, for instance, or how at-risk you might be for a given disease. The 23andMe targets known SNPs for its genotype analysis. You spit into a tube, then pop your sample into the mailbox and it goes to a lab, where your DNA is extracted from the saliva. It’s then copied repeatedly to make sure there’s enough for analysis. Next, your DNA is cut up and placed on a chip assay — kind of like a glass microscope slide, except there are millions of beads attached to its surface. Each bead has a piece of complementary DNA for specific SNPs on the genome. It works a lot like a lock and a key. Your DNA sticks to any bead that matches whatever version of the specific SNPs you have. It glows when there’s a match, thanks to a fluorescent marker. The accompanying report provided a statistical analysis for certain key traits based on the scientific literature to date. For just $99 and a saliva sample, people could find out all sorts of fun traits: whether they had wet or dry ear wax, how they taste bitterness, their odds of having a particular eye color, ancestral heritage, and so forth. Until November 2013, those traits included numerous disease risk factors: everything from obesity, age-related macular degeneration (whether your eyesight will worsen with age), and alcoholism, to breast cancer, Alzheimer’s and Parkinson’s. But the company was ahead of the regulatory curve. Their reports offered specific tips and guidance on how to reduce certain health risks. Granted, it was based on the known scientific literature to date on genetic factors underlying certain medical conditions and diseases, but the science in many cases was far from settled and open to interpretation. How could a consumer be sure that the company was interpreting its results correctly? And what if consumers placed too much confidence in the test results and made bad medical decisions based on faulty interpretation? So the FDA intervened, ordering 23andMe to cease and desist from providing analyses of people’s risk factors for disease until the tests’ accuracy could be validated. The company still offered information on ancestry based on DNA samples, but it was barred from telling you anything about your health. Then there was a class-action lawsuit alleging that the company misled consumers by, essentially, over-promising what their services could offer consumers. This had a significant impact on the bottom line. CEO and co-founder Anne Wojcicki told the New York Times that their new customer sign-up rate dropped more than 50% after that, although the company has survived, building on their ancestry services (the company was also still able to offer the medical assessments to users in Canada and the United Kingdom). It currently has more than one million subscribers. In February, the FDA approved 23andMe’s test for carriers of Bloom syndrome, a rare disease associated with an increased risk of cancer, among other symptoms. The company quickly put together another 35 similar tests for other inherited conditions or diseases, which also passed muster with the FDA. And now they’ve relaunched a modified version of their original genetic testing kit. There are still limitations, however. 23andMe can only provide information on just those 36 tests approved by the FDA, a significant scaling back from the original kit, which gave assessments on 254 diseases and conditions. And the price is now $199 instead of $99. Technically you’re getting less information for more money; on the other hand, the information you’re getting has the FDA stamp of approval. The nature of the information has changed, too: the focus is on “carrier status” reports. The kit will tell you whether you have a particular genetic variant for a known heredity condition — sickle cell anemia, for instance, or cystic fibrosis, or Tay-Sachs disease — and thus could pass this on to your offspring, even if you don’t have the condition yourself. But the company is still prohibited from telling you whether you’re going to develop a given genetic-related disease in the future. Moving forward, Wojcicki told the New York Times that 23andMe still hopes to gain the FDA’s approval for providing health risk information to its customers, although she declined to give specifics. The company also just announced a new drug discovery and development venture, raising $115 million from investors. Concerns about privacy for those one million subscribers in the company’s database remain, particularly in light of recent news that it has received four requests from state authorities and the FBI for five of its users’ accounts. (The company says it denied those requests). But for now, at least, 23andMe seems to have weathered its first regulatory storm. 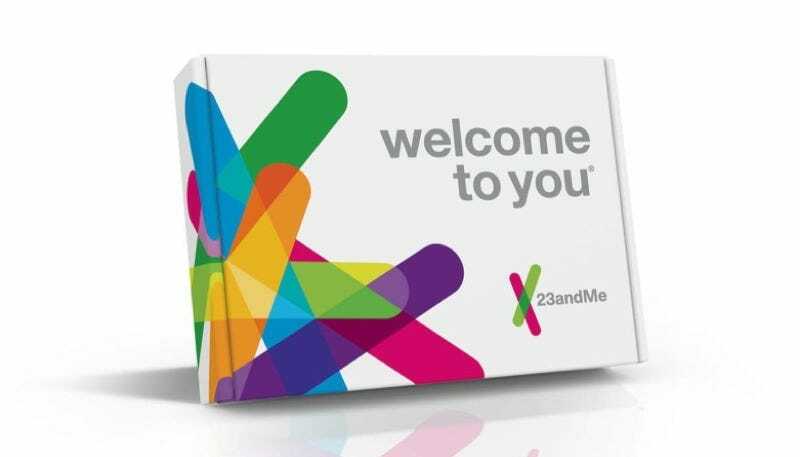 Note 10/23/15 (1:30 PM): The first paragraph of this post was edited to reflect that 23andMe was only barred from medical diagnostics relating to their kits.